Given the laconic title of "Yemen: Security Situation," the highly classified report dates to September 25, 2018, and was prepared by the French Directorate of Military Intelligence for an October meeting of the French "restricted council," a cabinet-level group that includes French President Emmanuel Macron, Minister of the Armed Forces Florence Parly and Minister of European and Foreign Affairs Jean-Yves Le Drian, The Intercept noted. It was leaked to the French investigative news organization Disclose and was published in full Monday by The Intercept, Disclose and four other French media organizations. The report directly contradicts statements made by Parly in late October that French weapons "have not been used against civilians," quipping that "we don't sell weapons like they're baguettes," according to AFP. The defense minister also said on French radio in January that she had "no knowledge as to whether [French] weapons are being used directly in" Yemen and that "we have recently sold no weapons that could be used in the course of the Yemen conflict." 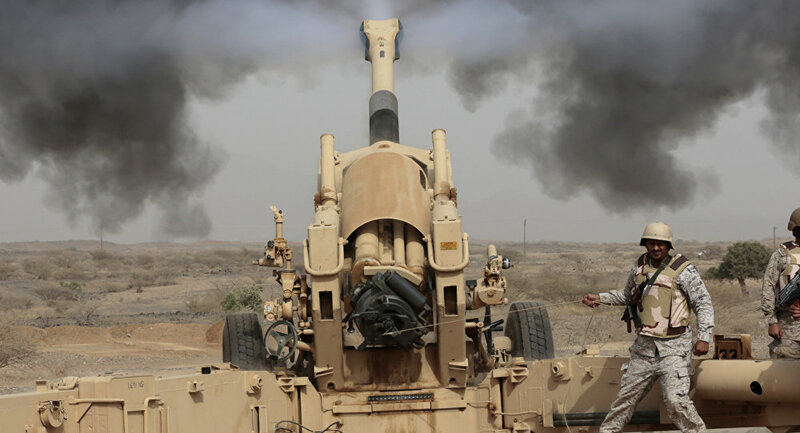 Warning that French war material "may have been used to commit war crimes" in the four-year-long Yemeni War, the report documents the French weapons used by both the Saudi and Emirati militaries, as well as maps of where they've been used. The French weapons named in the report include: the Mirage 2000 fighter jet; the Damocles laser targeting pod, used by aircraft to point the way for laser-guided bombs; the AS-532 A2 Cougar transport and assault helicopter; the AMX-30 and Leclerc tanks; the AMX-10P amphibious infantry fighting vehicle; the Nexter Aravis, a French analogue to the US MRAP vehicle; the COBRA counter-battery radar; the CAESAR and AuF1 self-propelled artillery pieces; the Giat LG1 105-millimeter artillery piece; various small arms, including mortars and anti-infantry missiles; as well as the French-built al-Madinah-class frigates for the Royal Saudi Navy. 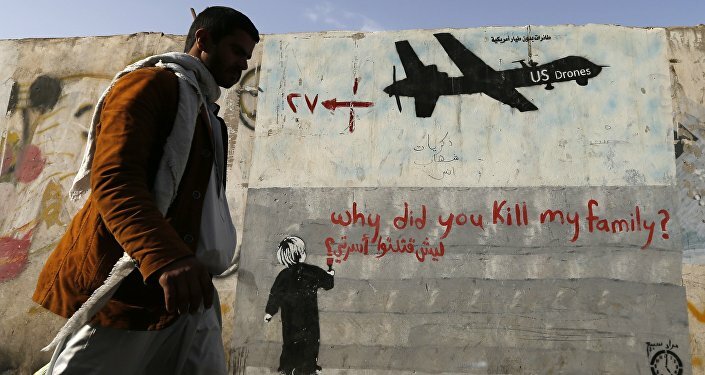 Philippe's office sent Disclose a lengthy statement in response to inquiries related to the report, insisting that "France is a responsible and reliable partner," and noting that "offensive actions are regularly taken from Yemen against the territory of our regional partners — we have seen this with ballistic missile attacks or drones carrying explosives, for example. France maintains a constant dialogue with these partners to respond to their defense needs." 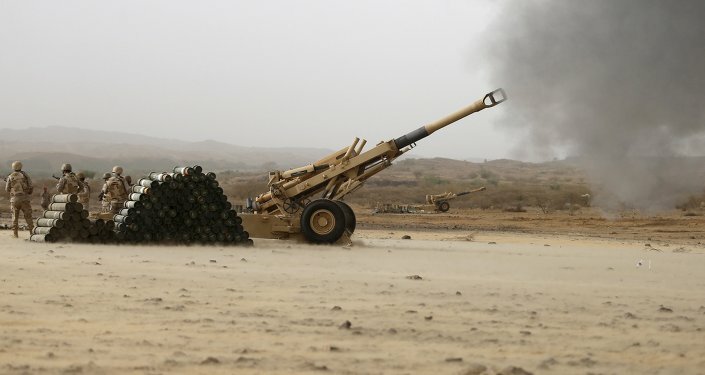 "Moreover, to our knowledge, the French weapons available to the members of the coalition are mostly placed in a defensive position, outside Yemeni territory or on coalition holdings, but not on the front line, and we are not aware of civilian casualties resulting from their use in the Yemeni theater," the statement continues. France is the world's third-largest arms exporter, AFP notes, and the Middle East has been its biggest regional market since 2017. Moreover, Saudi Arabia and the UAE have been some of its biggest customers, with French arms sales to the region going back decades. Some of the equipment documented in the war was sold to Riyadh and Abu Dhabi in the 1980s and 1990s, the report notes. The report also attempts to estimate some of the potential impact on civilians of the use of these weapons. For example, the radii of artillery ranges for pieces placed on the border are demarcated, with an estimated 430,000 Yemenis living within range of those guns. The report frankly describes the Riyadh-led war as "a campaign of massive and continuous airstrikes against territories held by the Houthi rebellion," noting that over 24,000 airstrikes had been made against targets in the country by coalition forces as of September 2018. Further, the report notes that Emirati warplanes have been much more careful about the targets they strike, saying that Emirati plots have a "proven" ability to use guided munitions, conducting themselves in a manner commensurate with NATO pilots. Their Saudi counterparts, however, have proven less scrupulous, despite having access to the same French-made laser targeting pods and munitions. This isn't the first time either Paris or other Western governments have come under scrutiny for their proximity to the war and the coalition's use of Western-made weapons. A March 2018 joint report by London-based Amnesty International and French human rights group ACAT pointed the finger firmly at French defense firms Dassault and Thales, makers of many of the weapons named in the report leaked Monday. Then in May 2018, two human rights NGOs, Droit Solidarite and Aser, threatened to take legal action in the Conseil d'Etat, France's highest legal authority, to pressure the French government into ending arms sales to Saudi Arabia and the UAE. The council has the power to verify whether export licenses have been issued legally and authorized by the prime minister, and it serves as chief arbiter in public policy debates, Sputnik noted at the time. This past February, another report by AI complemented one by CNN issued the same week, both of which documented the extent to which the UAE was funnelling weapons of war supplied by Western powers to its proxies on the ground in Yemen, Sputnik reported. 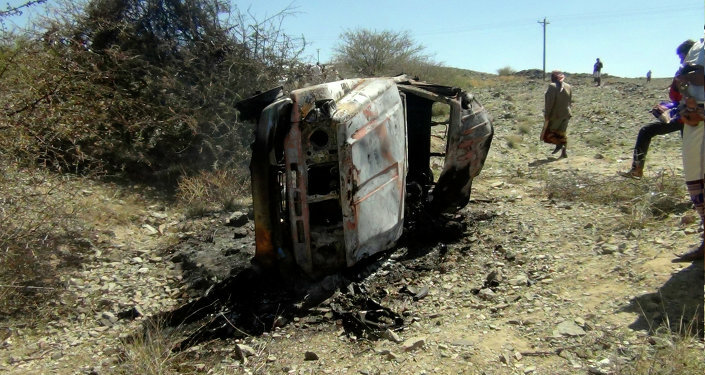 CNN's report, "Sold to an Ally, Lost to an Enemy," and AI's report, "When arms go astray: Yemen's deadly new threat of arms diversion to militias," documented how arms sold to the UAE by Western powers, including the United States, have been used "as a form of currency to buy the loyalties of militias or tribes, bolster chosen armed actors and influence the complex political landscape," as local commanders on the ground told CNN. Since 2001, the US by itself has supplied the UAE with $6 billion in weapons, according to DoD figures, but has made made a total of $22 billion in arms agreements with the country. AI's report names several French weapons, too, including LeClerc tanks, but also points the finger at numerous other nations, ranging from South Africa to Serbia and Belgium. AI names 20 countries overall that supply the UAE with arms, with the Gulf monarchy having received $3.5 billion worth of heavy conventional weapons, small arms, light weapons and associated parts and ammunition since the war began in March 2015. AI's report also notes that states supplying arms to anyone in the Yemen conflict are in violation of the Arms Trade Treaty of 2014. The United Nations has called Yemen the world's worst humanitarian crisis. The war has been raging since March 2015, when Houthi rebels ousted Yemeni President Abdrabbuh Mansur Hadi, who fled to Riyadh and begged Saudi Arabia to defend what remained of his government. Since then, up to 60,000 people may have been directly killed by the conflict, not including an estimated 85,000 children who may have died from starvation, Sputnik reported, citing the Armed Conflict Location & Event Data Project (ACLED), an NGO that collates data on conflicts around the globe. Further, the World Health Organization has recorded 1.3 million suspected cases of cholera in the country since the war began, with 20.1 million of its 28.25 million people facing food insecurity and almost as many lacking access to basic health care services.